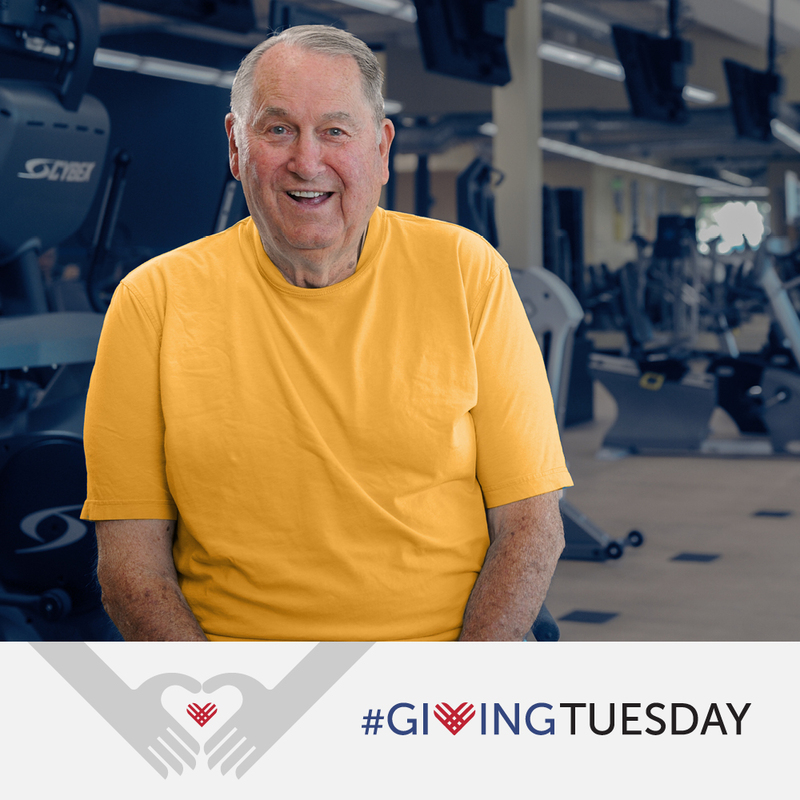 SANTA ANA, Calif. – November 19, 2018 – This #GivingTuesday, Goodwill of Orange County is raising funds to cover monthly membership costs for individuals living with physical disabilities or chronic illness at the Rogers A. Severson Fitness & Technology Center. #Giving Tuesday is a global day of giving that harnesses the collective power of individuals, communities and organizations to encourage philanthropy and to celebrate generosity worldwide. Following Thanksgiving and the widely recognized shopping events Black Friday and Cyber Monday, this year’s #GivingTuesday will take place on November 27thand will kick off the giving season by inspiring people to collaborate and give back. Designed specifically for people living with physical disabilities or chronic illness, the Rogers A. Severson Fitness & Technology Center provides extraordinary services, a fully accessible gym with the latest specialized equipment and facilities alongside inclusive fitness classes and knowledgeable physical therapists and personal training staff. The gym remains the only facility in Orange County equipped for this deserving population. This Giving Tuesday, the local community can be a part of someone’s inspirational story by giving a membership to the Fitness & Technology Center. A monthly membership costs just $35. Goodwill aims to raise funds to cover 200 membership fees. Founded in 2012 by the 92nd Street Y – a community and cultural center in New York City - #GivingTuesday inspired millions of people to give back and support the causes they believe in. Over $300 million was raised online to benefit a tremendously broad range of organizations, and much more was given in volunteer hours, donations of food and clothing, and acts of kindness. Those who are interested in joining Goodwill of Orange County’s #GivingTuesday initiative can visit: http://bit.ly/GoodwillFC. Since 1924, Goodwill of Orange County has been in the business of helping people facing barriers find and keep meaningful employment. Founded on the belief that every person should have the opportunity to achieve the independence that work provides, Goodwill is most recognized for being the conduit where donated goods are sold in America’s favorite thrift stores to generate the revenue that provides the services to those who face employment challenges. Goodwill of Orange County, which marked its 94thyear of service in 2018, has supported hundreds of thousands of Orange County residents since its inception by creating and providing quality training and employment services to empower its program participants to be productive and independent. The nonprofit organization has dozens of programs that support this effort, including the Goodwill Rogers A. Severson Fitness & Technology Center, Orange County’s only facility specially designed for people suffering from chronic illnesses and physical disabilities; its global approach to serving veterans and their families, Goodwill of Orange County Tierney Center for Veteran Services, which helps former service members and their families find resources and services to meet and serve their unique needs, including housing, job placement, education, and wellness; and itsAssistive Technology Exchange Center (ATEC),which provides access to more than 1,000 state-of-the-art technology devices for children and adults with disabilities. These are just a few of Goodwill of Orange County’s innovative programs that have served those facing barriers in Orange County for the past nine decades. To learn more about Goodwill of Orange County, visit ocgoodwill.org.